Pulp Fiction Comics was kind enough to give me a copy of Sonic the Hedgehog. Sonic: Genesis (Part One). Wow, what a title! This title is part of the 20th Anniversary of our little spikey blue friend. Just to be clear, this is not a new Sonic series, but rather a mini-series retelling of the origin of the Sonic story. 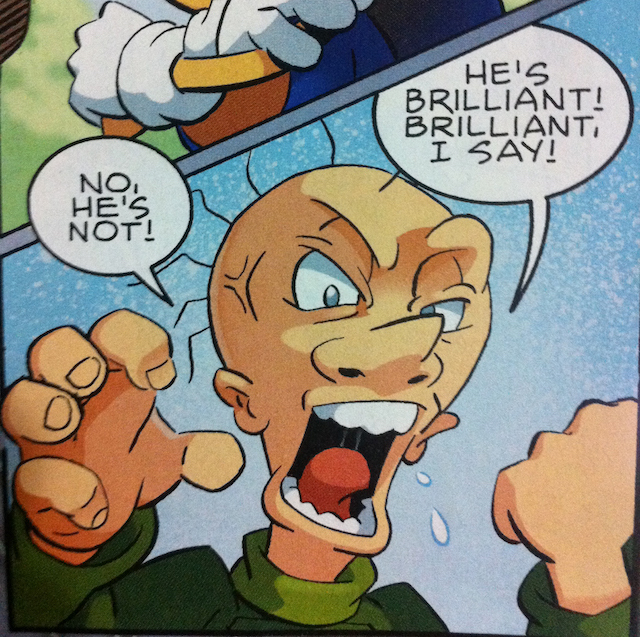 Archie Comics have just put a halt on the normal Sonic the Hedgehog comic story and spliced this one in. This is given away by the fact that it is numbered as issue #226. 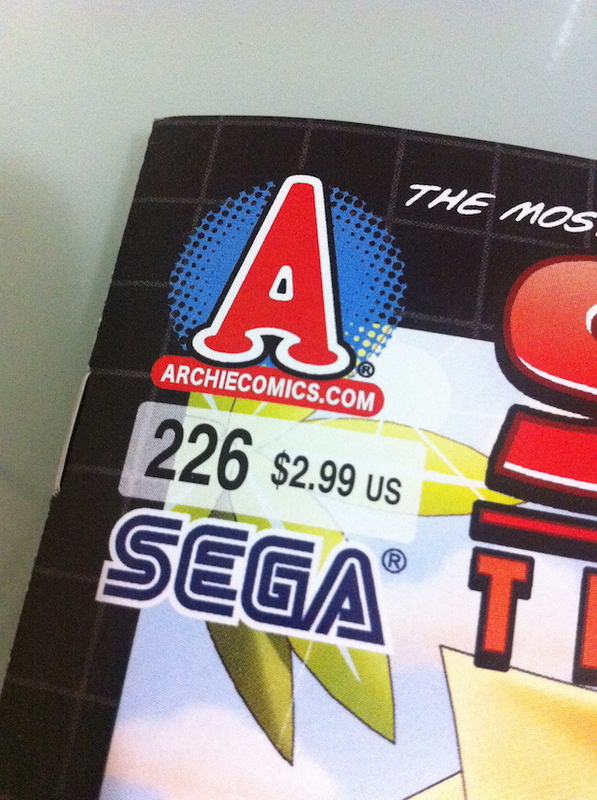 So what it really should be called is ‘Sonic the Hedgehog #226. Sonic: Genesis (Part One)’. Sonic the Hedgehog #226. 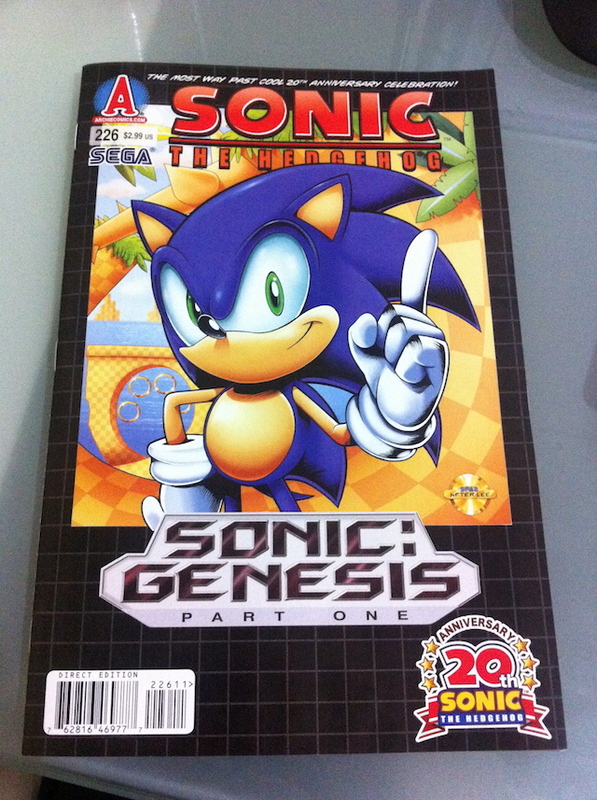 Sonic: Genesis (Part One) is published by Archie Comics in association with Sega, and has the same cast of people working on it as Mega Man #1 (see my review). Ian Flynn wrote the storyline and Patrick ‘Spaz’ Spaziante did the artwork and Matt Herms is the colourist. The artwork and colouring is amazing and fits the story really well just like it did with Mega Man. The thing that lets this comic down is the storyline. It’s clear that Ian Flynn did not have his heart in this one. The dialogue is super cheesy and characters are introduced into the story in a clunky, rushed way. I played Sonic the Hedgehog on my Megadrive (Genesis) many, many times as a young buck, and I can’t remember all of these ridiculous side characters who are in this story. Sure all of this may have evolved along the way in the Sonic universe, but they were not evident anywhere near the beginning. So why bring them into this story when it’s supposed to be about Sonic’s origins? I mean look at this guy! I don’t remember Dr Eggman’s nephew being in the game? I like the cover art because it mimics the original game cover artwork. 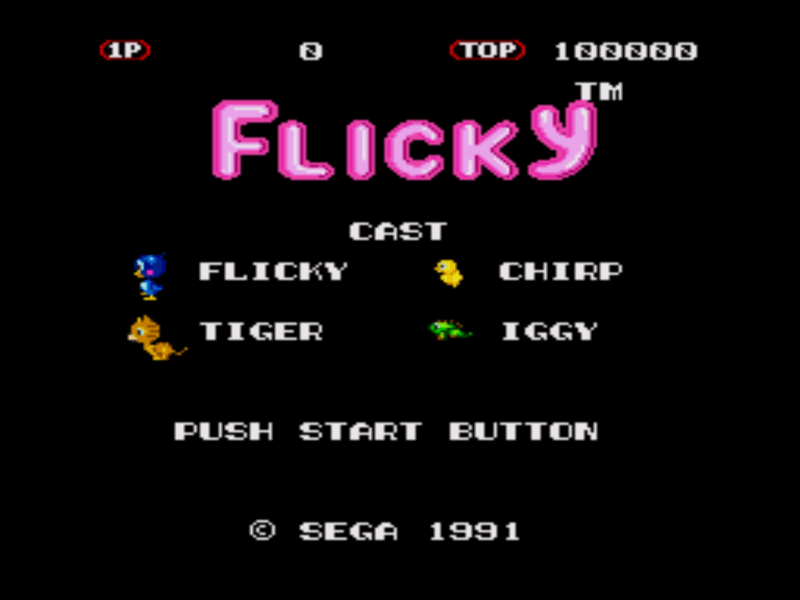 Another part I liked was the use of the Flicky character from the Megadrive game of the same name. In conclusion, this comic loosely follows the original Sonic game storyline, but just seems to be a cash in by Archie Comics. 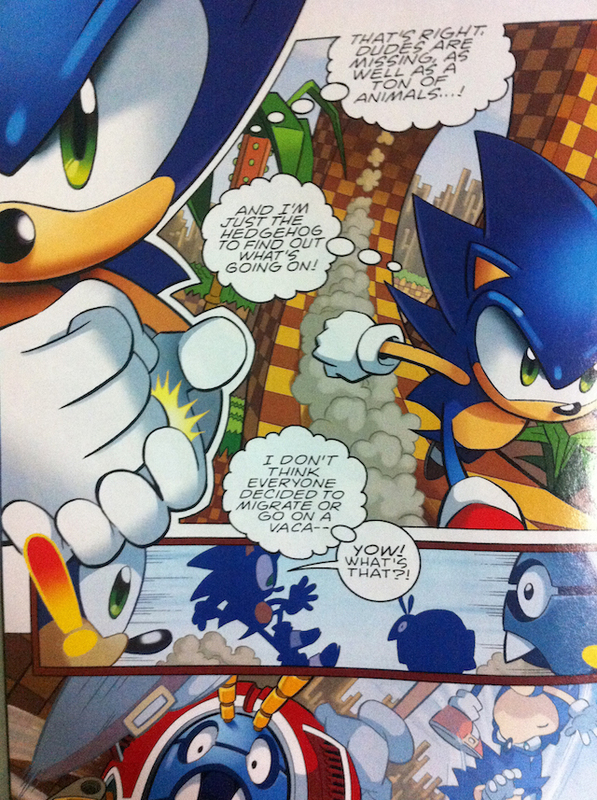 I feel the fans of the original Sonic the Hedgehog comic series are going to feel a bit ripped-off when they read this one, this also applies to fans of the Sonic games. It’s a pity really, because Spaziante and Herms’ artwork captures the essence of video games really well.